There are currently 90,850 users on this website. 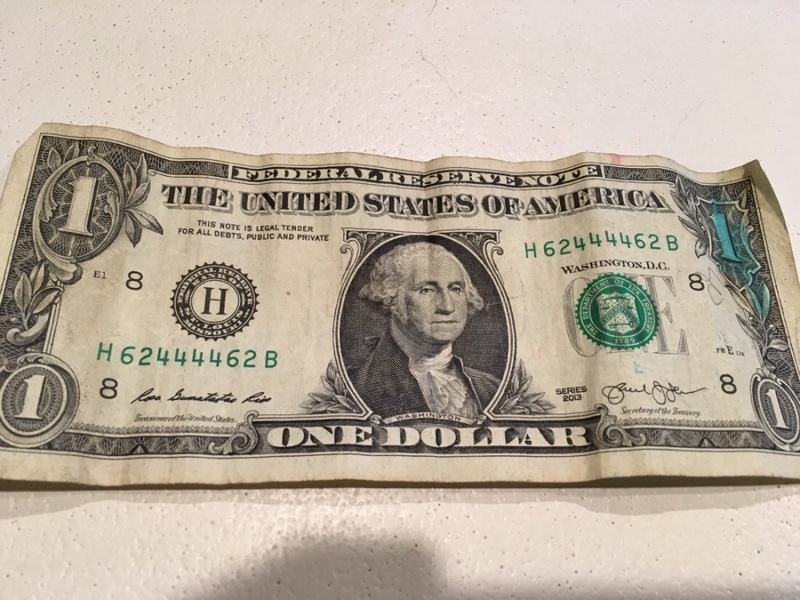 Close To A Fancy Serial Number, Is It Still A Keeper? It's in rough shape and it doesn't really fit into any "fancy number" categories. I'm not really into banknotes but I always look at the serial number. This is the closest I have gotten to a fancy. What do you think about the #? Interesting, but not a keeper in my book. In this case close doesn't count. It's not a hand grenade. Just one of many 3 digit number combinations. That would qualify as a cool bookend, but not in that condition (especially the colored-in "1" at upper right). For only $1, I might hold on to it. I agree. Keep it until you need it. Not worth keeping .... Spend it! I'm voting with the spend it opinion as well. Nice number. However, it is a spender. Nice one...keep it until better one shows up. Start a collection of ..."Oh so Closers"